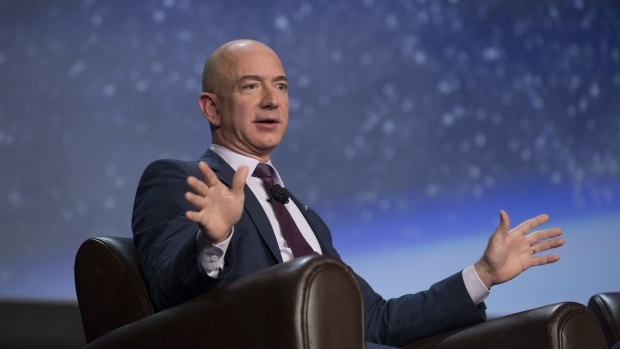 Jeff Bezos and his wife, MacKenzie Bezos, launched a US$2 billion fund to help homeless families and create a network of nonprofit preschools in low-income communities. With a personal fortune of US$163.8 billion, according to the Bloomberg Billionaires Index, the Amazon chief executive officer had been largely invisible in the world of philanthropy. His net worth has risen by US$64.7 billion this year alone as Amazon’s shares surged. Bezos’ relative silence was a stark contrast to peers like Bill Gates, whose foundation is the world’s largest, and Warren Buffett, who has vowed to give away the majority of his wealth. Gates didn’t fully throw himself into philanthropy until he stepped down as CEO of Microsoft Corp. in 2000. Since then, he and his wife have built the Bill & Melinda Gates Foundation, which had an endowment of US$51 billion at the end of 2017 and pledges to spend all its resources within 20 years of its founders’ deaths. Zuckerberg, 34, and his wife Priscilla Chan said in 2015 that they planned to give away 99 percent of their Facebook stock. Zuckerberg’s shares in the social network are currently valued at about US$61 billion. --With assistance from Olivia Carville, Spencer Soper and Devon Pendleton.